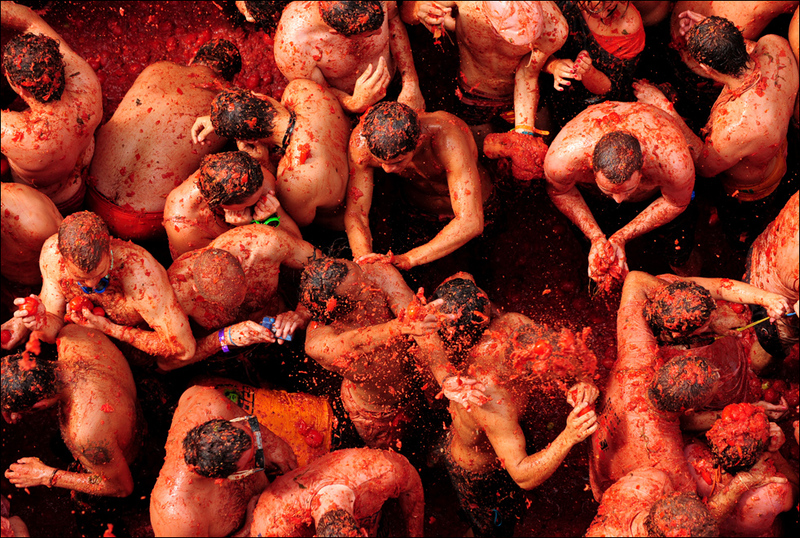 On the last Wednesday of every August in Buñol, Spain, thousands of people gather to celebrate La Tomatina (also known as the Tomato Festival). This tomato filled festival has maintained it's strong tradition annually since it originated in 1945. There is no certain theory on how or why this tradition began. 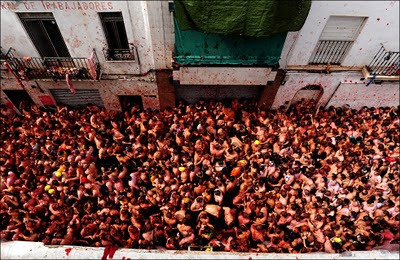 Some people believe La Tomatina started from a food fight amongst friends in the small town while others believe an unhappy group attacked city councilmen with tomatoes during a town celebration. Although many stories exist about the origin of La Tomatina, it is certain that for whatever reason the festival started, it was enjoyed so much it became an annual event of Buñol. Each year La Tomatina attracts people from all over the world and the streets fill with rivers of thick red tomato pulp. A population of 9000 people, Buñol typically grows upwards of 40,000 during late August each year. The tomato craze takes place in the town's main square, Calle del Cid. 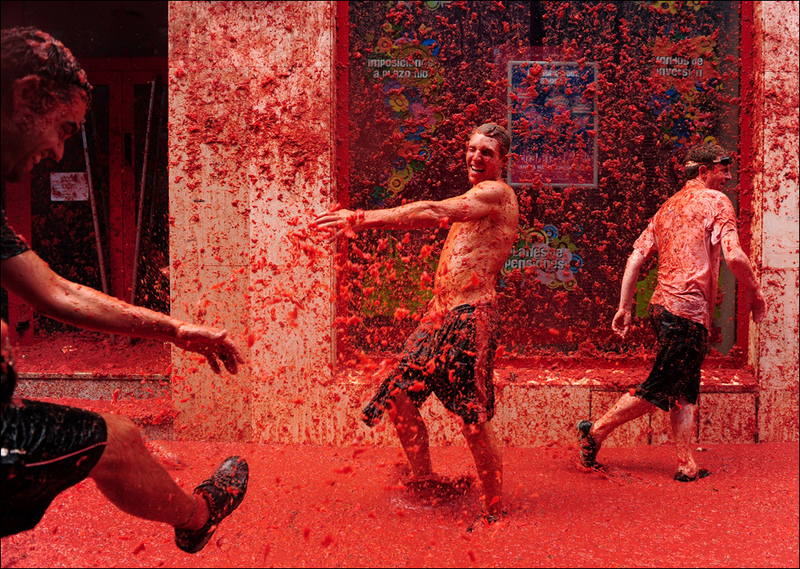 At 11am, over 100 tons of ripe, juicy tomatos are rocketed into the streets and onto the crowds. 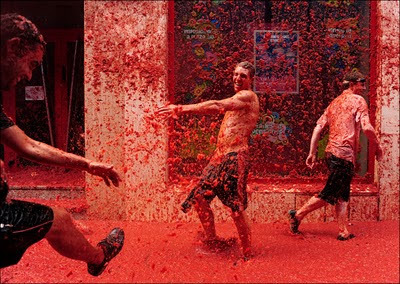 For one hour, the thousands of people engage in a fun and frenzied tomato fight. Although the festival began without religious significance, it is now held in honor of Buñol's patron saints, Louis Bertrand and Mare de Déu dels Desemparats (Mother of God of the Defenseless). Red has always been believed to be an attracting color, and through these few photos, we witness the intense passion of this celebration. View these mobistealth reviews to examine all the top features of such software.